I didn’t have any problem with my thermostat, just do the preventive maintenance, it is something very important that you need to prevent, overheating. 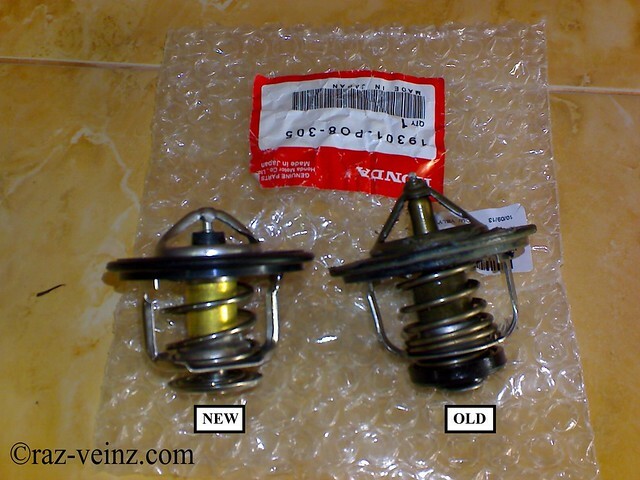 The thermostat is the very important cooling system component, the main function is to maintain the engine operating temperature, not too cool and not too hot, just simply perfect temperature, like the adjustable hot-cold shower knob, in the cold morning, it will rise the minimum opening temperature quickly (to prevent poor gas mileage, fouled O² sensors, clogged exhaust systems and losing power), to know how it works, watch the video below. 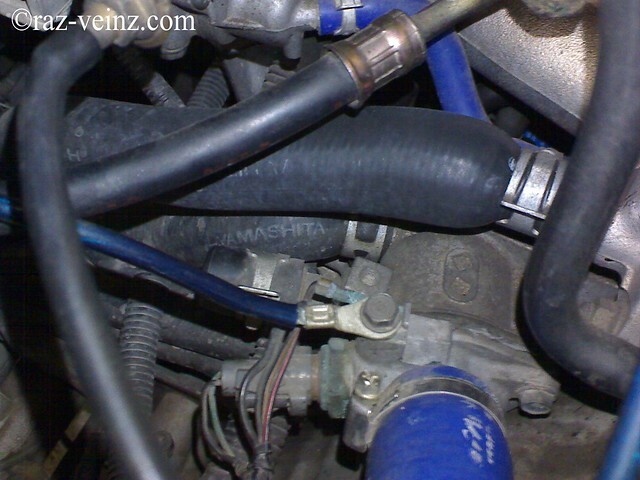 And this is how cooling system works. And I have no idea why people cut off the thermostat and bypass the radiator fan (mean the coolant always circulate and the fan will always on) for street car, even for the racing car this modified is only a little bit few. 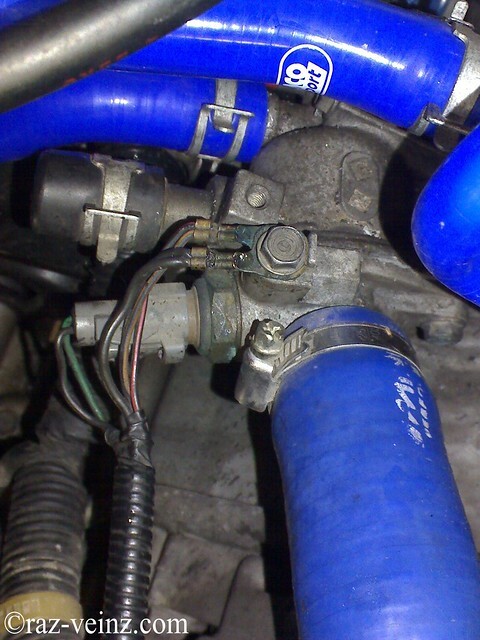 First, make sure the engine is cold…remove the intake and some wiring to get more access and space. 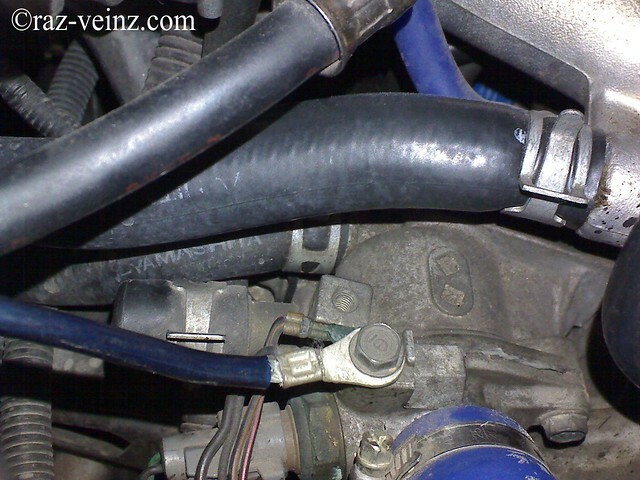 Take out the thermostat housing, bend the hose to prevent coolant spill, will lose some coolant for sure. 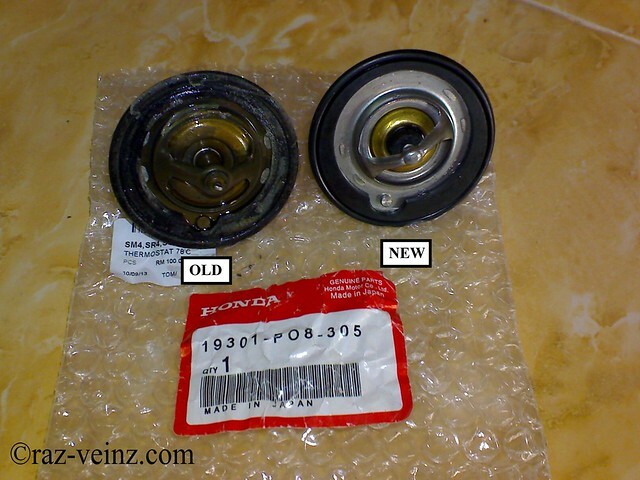 Clean the thermostat housing, then install the new one, don’t worry, there are the mechanism that prevent you from misplace. 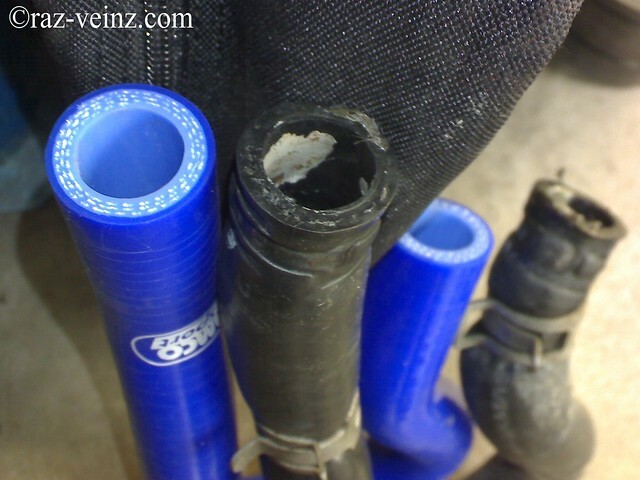 I also take this chance to replace the old tired-rubber-hose-that-cannot-withstand-with-the-pressure-anymore with the silicon one, how do I know? Here the picture at the cold temperature. and here the picture after certain boiling point, scare right? Poom! 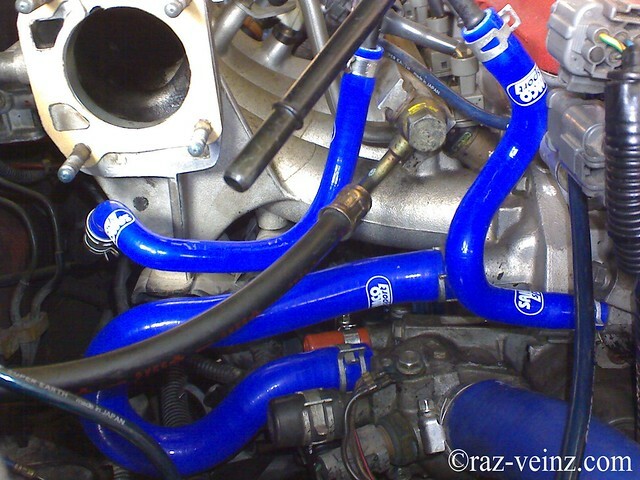 And also the others hose…(please ignore the missing throttle body), and if you look more closer, you will notice that I also do some bypass, the hose that go through throttle body, to cool the intake manifold a little bit. Even wonder why the manufacture design this way? 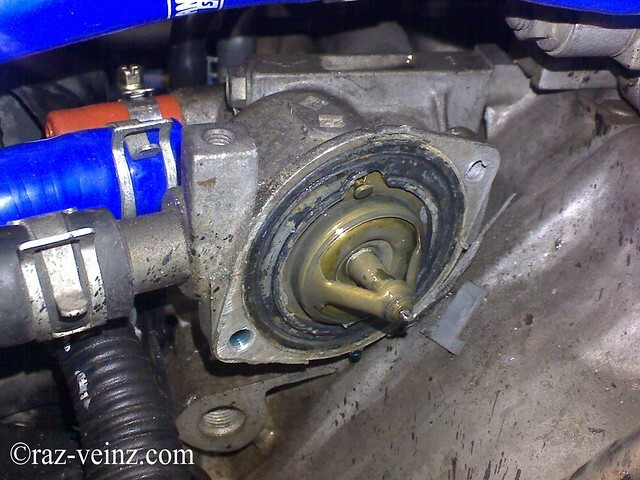 The only reason that I could think is to warm up the throttle body during the winter or very very cold climate to prevent the throttle body butterfly from stuck, but there is not the problem in my country (Malaysia) with benefits from a tropical climate with high temperatures and high humidity throughout the year. And you from the winter sonata country, I didn’t recommend this mod. And for IACV line, I didn’t really get why…someone? I think for ‘idle’ reason…but, so far, I didn’t have any problem with my idle. Install everything back in the reverse order of removal. 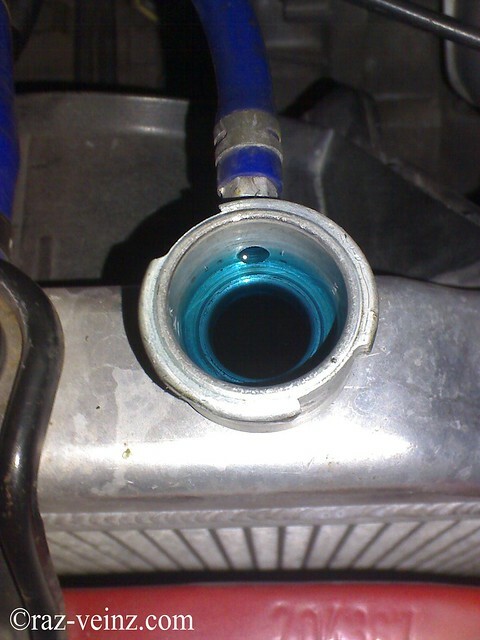 Open the radiator cap and pour coolant into the radiator up to the base of the filler neck, squeeze the radiator hose a little to let the bubbles come out of the top of the radiator. 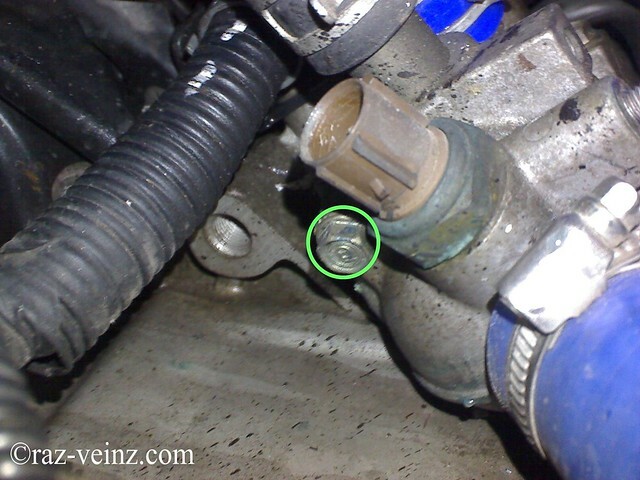 To remove the bubbles, loosen the bleed bolt (locate under distributor for B-series, but, didn’t have for type-r series), tighten it again when coolant comes out in a steady stream with no bubbles. 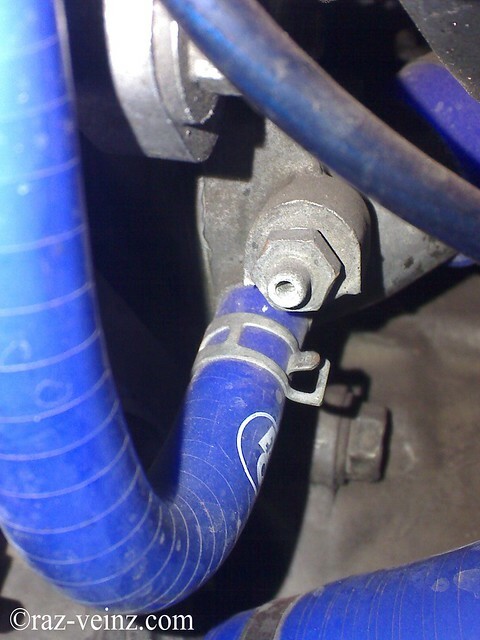 Refill the radiator to the base of the filler neck. 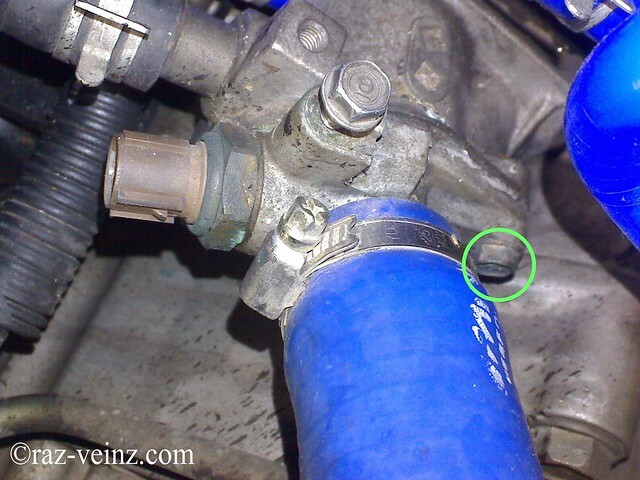 Put the cap on the radiator and tighten it only to the first stop (to give a little pressure for fast warm up, or the other method is to rise up the rpm). start the engine and let it run until it warms up (the radiator cooling fan comes on at least twice), that mean, the coolant begins to circulate. Turn off the engine. 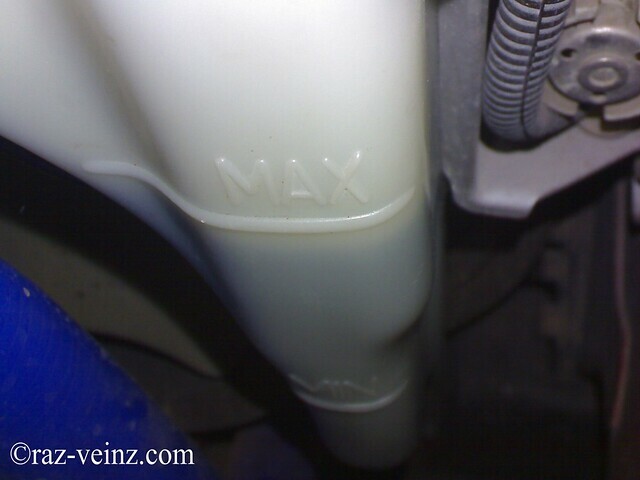 Check the level in the radiator, add coolant if needed, install the radiator cap and tighten it fully. 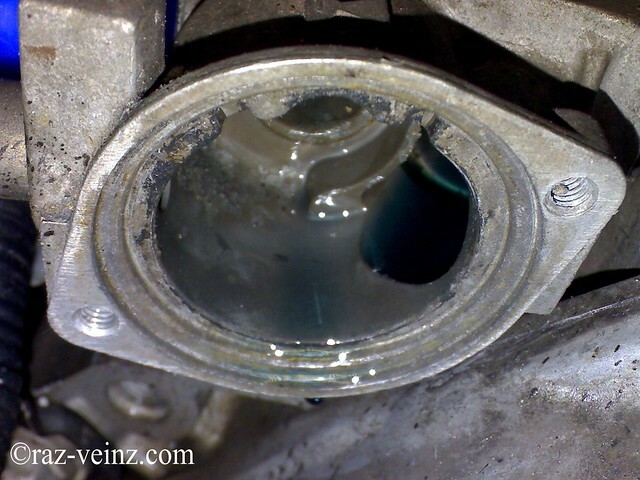 Fill the reservoir to the MAX mark and keep checking the coolant levels.